I am almost always asked two questions when it comes to what I do. Number two; what my favourite ingredients are. That is a hard one...but I have tried to narrow it down to just ten. As you can imagine I have a massive array of ingredients and my pantry is full to overflowing quite often with gifts sent to me by companies or followers for me to try, which I confess, I totally LOVE receiving. BUT, to drill down the basics for you, that you will PROBABLY need if you are to ever cook any of my recipes...this (in no particular order) is the list. Heilala Vanilla In all of its forms, Heilala is my absolute fave vanilla to use. I usually use the vanilla bean paste which is highly concentrated and therefore you need less to get the same vanillery goodness, but, you will find with me, I am always generous when it comes to vanilla. I love it. 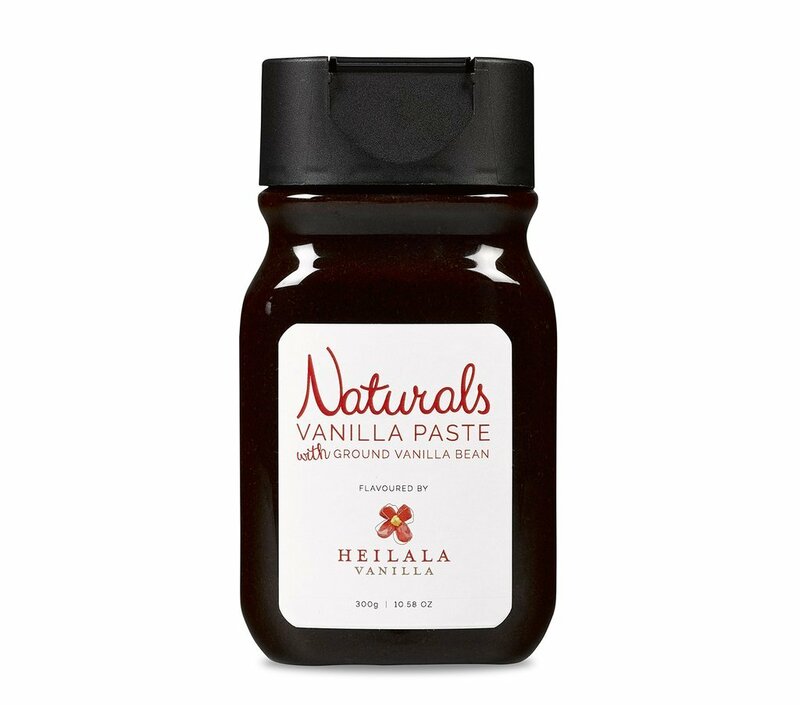 Thinking of my most famous recipe yet, it stars 30g of Heilala Vanilla Bean Paste and if you use another version of vanilla, don't come crying to me with your melted tasteless ice cream! (hahahaha) Killer Vanilla Ice cream is THE best no churn ice cream ever. Murray River Salt Flakes I have learnt that if you always use the same salt when cooking, you will learn by feel how much you need for a recipe. It becomes second nature to feel the amount you are using and eventually you will not need to measure it. 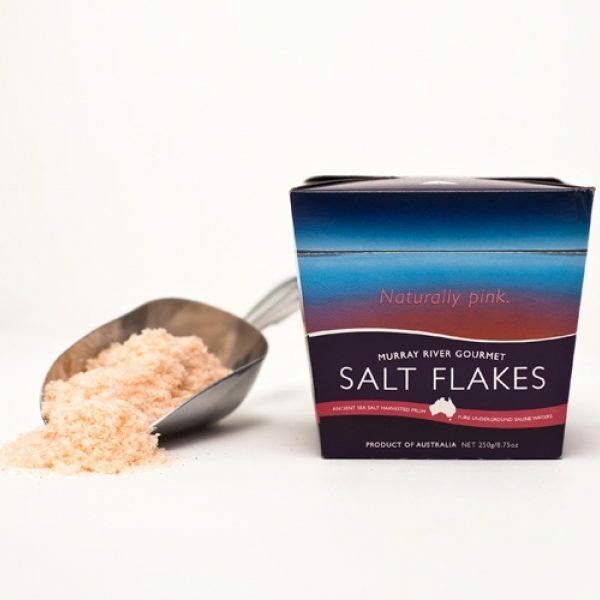 I LOVE my Murray River Salt flakes. I also love the story behind the company. Go and read up about it HERE. 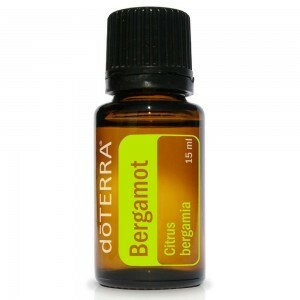 doTERRA essential oils If you follow me at all, you will know that I am SO in love with doTERRA oils for flavour that I have joined the company and encourage all of you to do the same. You can join several ways, or just purchase the oils directly through me...but it is much better (and cheaper) for you to join as a Wholesale Customer and get the oils straight to your door. So why are they so good? For starters they are CPTG (Certified Pure Therapeutic Grade) and with literally a drop or two you have amazing flavours and very often health benefits! I mean really. 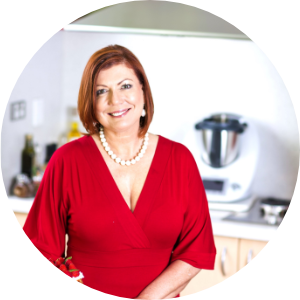 I have started writing a mini series of cookbooks for doTERRA complementary partners (non Thermomix) so stay tuned on how to get those in your hot little hands. Of course I am also using them as my personal medicine cabinet and supplement provider. Go have a read...you all need the LLV...just saying. That is why I am soooo crazy busy and still surviving in my old age! Hahaha. Coconut Cream and Coconut Milk. I literally use these on a weekly basis in something. Whether it be as a milk sub, last minute thing or because it tastes great, or in a curry, or ice cream or just straight from the tin. YUMMERs...I do prefer the Honest to Goodness brand right now, though that has been known to change from time to time. I really think you just need to look for a brand that literally has nothing but the coconut and water in the ingredient list. Go with that. Callebaut dark milk chocolate I have been using Callebaut for some time. I find it very easy to use, the flavours are excellent and I loved the products so much that I am now selling them in my store, just 4 kinds at this moment, but who knows...demand may demand more! It is couverture chocolate, and therefore perfect for tempering, desserts, or just eating. 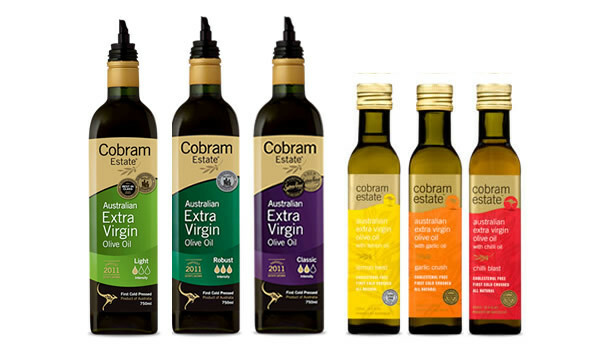 Cobram extra virgin olive oil and I go waaaay back. I found them early on in my cooking career, and I have been using them ever since. I now of course have a great working relationship with Cobram. The best part about their EVOO apart from amazing flavour and purity is the fact it is widely available in supermarkets in Australia, and the health benefits of using this award winning oil are second to none. Go get a bottle. Tinned tomatoes are just a pantry staple aren't they? I use them for so many things. 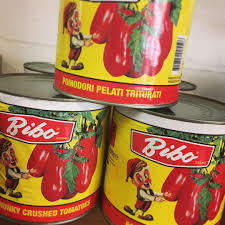 And my total fave is the Italian Bibo brand. (Just quietly, I love the packaging as much as the actual tomatoes inside the tin.) They are often a better option than fresh tomatoes for ragus, sauces etc because they are already concentrated down and so have a stronger flavour in those sorts of dishes. With some onion, garlic and a few fennel seeds, and your standard tin of tomatoes, you are in good shape for a quick meal any night of the week. 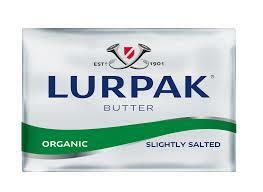 Lurpak butter is my favourite butter. Like me, it is cultured! I do have a recipe to make your own cultured butter, but why would you when you can have this delicious Danish butter. I tend to go overboard when it is on special as you should too! Stock up! Umami Paste This is one of the ingredients I love to have handy. I keep it frozen in ice cubes and just use one or two as required for almost anything that needs a flavour boost. If you haven't tried it yet, get onto it. Adding Umami Paste to your dishes give them that more-ish factor and the kids will literally be licking their plates clean. Promise! Last but not least; Fresh Lemons. When I have to pay for lemons on occasion, I get a bit grumpy. They are plentiful in winter and if you are driving past a clearly laden tree with no-one harvesting for such delights as Lemon Butter, Lemon Meringue Pie, Lemon Chicken, Lemon Custard (or any other number of recipes I love starring lemon), then park the car and do a sneaky lemon harvest...or ask your neighbours, your nanna, whoever. Promise them Lemon Butter and there will be plenty of donations. So there you have it. My top ten ingredients that you should have in the pantry...or the fridge freezer I guess if we are being pedantic. Get yourself organised with a little shopping spree and then post pics! Happy Pantry-ing!